"Dr. Nowak is well poised to assume the center’s executive leadership reins. She is intimately familiar with the organization’s mission to drive innovation and facilitate economic development. We have full confidence that she will lead the CBLS to even greater heights." 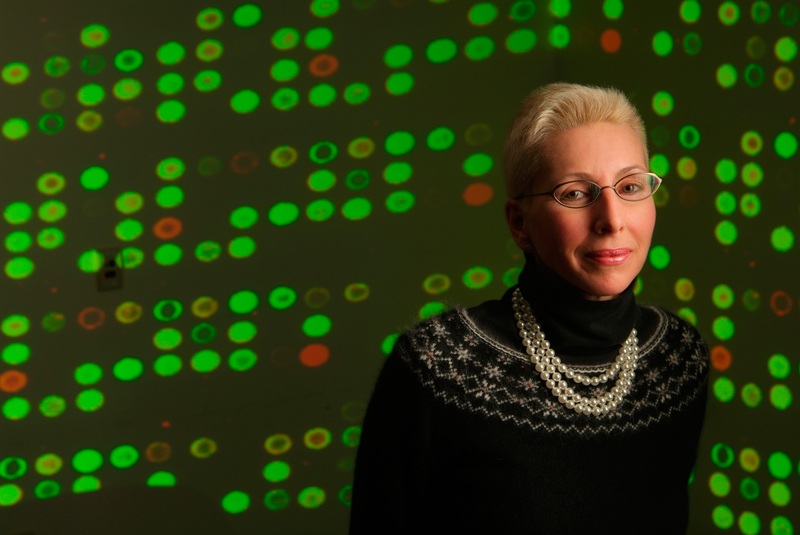 Norma Jean Nowak, PhD, a renowned research scientist, educator, collaborator and entrepreneur, has been named executive director of the University at Buffalo’s New York State Center of Excellence in Bioinformatics and Life Sciences (CBLS). “Dr. Nowak’s appointment allows UB’s Center of Excellence to continue fulfilling its dual mission of improving health care while driving economic development,” said Matthew Watson, director of the New York State Division of Science, Technology and Innovation (NYSTAR). Nowak has been a part of the center’s success since its inception. In 2003, she was named director of science and technology at CBLS, where she has been a catalyst for innovation and evolution that improves health care for patients in Western New York and beyond. Nowak brings years of experience in both research and business to CBLS, which houses UB faculty investigators and life sciences companies under one roof in its downtown facility. The center supports economic development in the region by supporting entrepreneurship in high-tech fields and connecting industry with university resources. In addition to her role at CBLS, Nowak is a professor of biochemistry at UB and founder and chief scientific officer of Empire Genomics LLC, a molecular diagnostics company focused on enabling personalized medicine. She is a pioneer in the field of human genomics. Her research contributed directly to the Human Genome Project, as well as to genomic-based approaches to understanding heritable disorders and cancer. Nowak and her team are developing approaches to understanding the information encoded by the genome and using that information to improve patient care. Investigating the complexities of the genome can aid not only in disease treatment, but in prevention as well. From 1999 to 2012, Nowak was director of the Genomics Shared Resource, a collaborative research lab shared by the UB School of Medicine and Biomedical Sciences and Roswell Park Cancer Institute (RPCI). Prior to that, she was involved for 14 years in research at RPCI developing physical clone resources for cloning disease genes and mapping the human genome. Nowak was instrumental in obtaining more than $70 million in funding for research and infrastructure; she has authored and co-authored 144 research articles. Among other achievements, she received the 2008 American Association of Cancer Research (AACR) Team Science Award and the 2008 Thomas B. Tomasi Award from RPCI for her outstanding achievements in science. She is a Buffalo Museum of Science board member and recently was appointed to the Empire State Stem Cell Board for New York State and the founding board for 43North. Nowak is at the forefront of a new era of personalized medicine. She is a driving force in the governor’s investment in UB and the New York Genome Center (NYGC) to create the Buffalo Institute for Genomics and Data Analytics (BIG). The institute, leveraging the assets of local institutions, will aid in the development of related companies that support genomic medicine. The effort positions New York State as a national leader in genomic medicine, developing breakthrough treatments, improving physicians’ ability to identify individuals at risk of disease and creating transformative job growth for Western New York.